The Pacific white sided baby dolphin was jumping for joy over his new name announced Friday morning. NBC 5's Daniella Guzman stops by John Haines Elementary School to check in on their campaign to name a baby dolphin at the Shedd Aquarium. NBC 5 news anchor Daniella Guzman makes a trip to the Shedd Aquarium to greet the new baby dolphin. You can get in on the action and help the Shedd name the new adorable little guy. Pacific white sided dolphins are special creatures. There are very few in captivity, which is why the Shedd is so excited about their new family member. 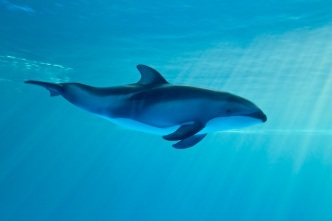 What's a Pacific White Sided Dolphin Anyway? Watch as the Shedd's newest Pacific White sided dolphin takes laps with its momma. The Shedd Aquarium announced Tuesday the gender of its newborn Pacific white-sided dolphin. You know you can't resist. 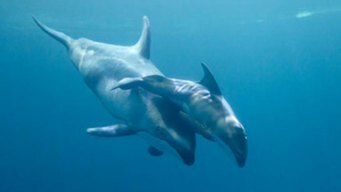 Take a look through these adorable photos of a Pacific white sided dolphin swimming with his momma. The dad of a missing Crystal Lake boy had a message for his 5-year-old son, who hasn't been seen since Wednesday evening. April 19, 1996 was Illinois' largest tornado outbreak ever recorded. There were 39 tornadoes across the state on that day, which was one day out of a three-day outbreak across the Midwest. The city is warning it will offer zero tolerance for any more disturbances from roving crowds of teens in the downtown area.